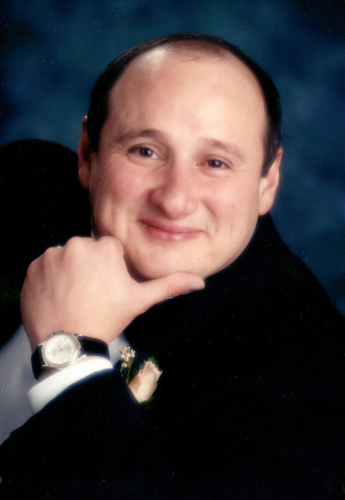 John M. "Lover" Tassone, 58, of Auburn, passed away Friday at his residence. John was born in Pottsville, Aug. 15, 1960, a son of Bridget J. Mason Tassone and the late George M. Tassone. He was the husband of Mary J. Wenrich Tassone. The couple shared 24 wonderful years of marriage. John was a graduate of Nativity BVM, Class of 1980. He then earned an associate's degree in accounting and business administration from Schuylkill Business Institute. In addition to his father, John was preceded in death by a niece, Stephanie. He was a member of St. Paul's United Church of Christ Summer Hill, Auburn. He also enjoyed playing wheelchair basketball, darts and pool. He played the harmonica and enjoyed the blues. He was a rabid Dallas Cowboys fan. He was employed by Independent Living Centers, Anthracite Region, Berks County AIM Center for Independent Living and the Center for Independent Living of Central Pennsylvania. John served on the Governor's Committee for the employment of people with disabilities. He also served as the president on the self-determination housing project. He served on the board of Pennsylvania Assistive Technology Foundation and Transportation Alliance. He was also a governor-appointed board member of Pennsylvania statewide independent living council, the director of operations at Schuylkill Transportation System and a coordinator for the Schuylkill County LINK. John achieved all of these things to benefit people with disabilities, despite years of dealing with constant, chronic pain. In addition to his wife and mother, John is survived by a sister, Inez Dombrowski, wife of James, of Pottsville; two brothers, George M. Tassone Jr., husband of Linda Tassone, of Pottsville, and Louis Tassone, of Pottsville. He is also survived by nieces and nephews; his beloved dog, Betsy. A memorial service will be held at 2 p.m. Thursday at St. Paul's United Church of Christ Summer Hill, Auburn, with Pastor Kenneth McDowell officiating. A visitation will be held from 1 p.m. until the time of the service Thursday. Memorial contributions may be made to St. Paul's United Church of Christ Living Memorial Fund, Auburn, PA 17922. Interment will follow at Summer Hill Cemetery. Geschwindt-Stabingas Funeral Homes Inc. has been entrusted with arrangements.